Your “Alpine Connection” is a beautifully maintained, ground-level condominium at The Aspen's that accommodates up to six people in cozy comfort. 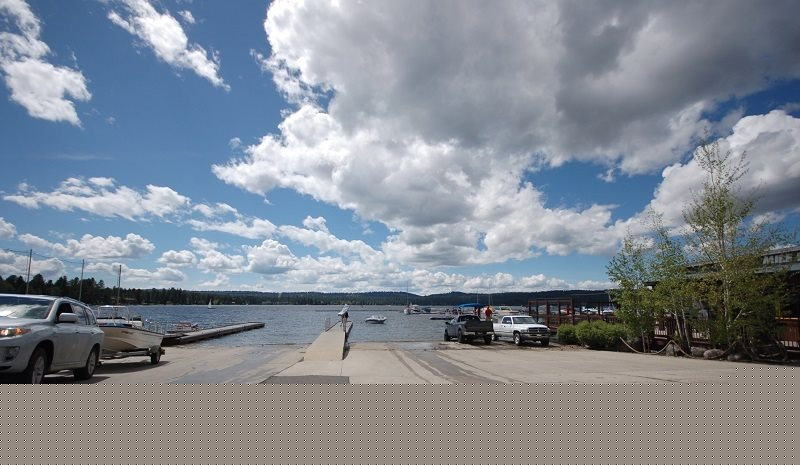 Great location - less than one mile to downtown McCall, Legacy beach and park, marina and public boat launch. 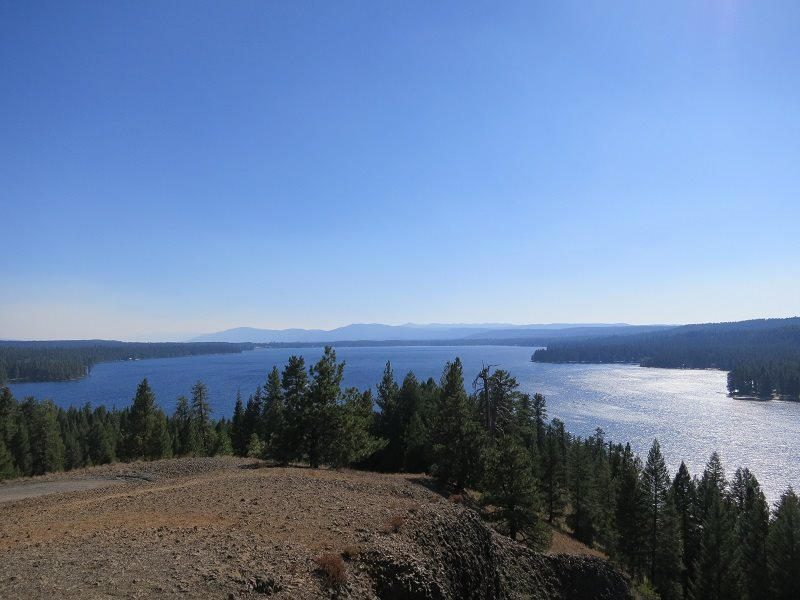 Davis beach and nature trails in Ponderosa State Park is just a five minute walk away. Bring your bicycles for summer cycling fun. Make sure to bring your clubs, McCall Municipal golf course and clubhouse is within ½ mile and 27 holes are just waiting to be played. 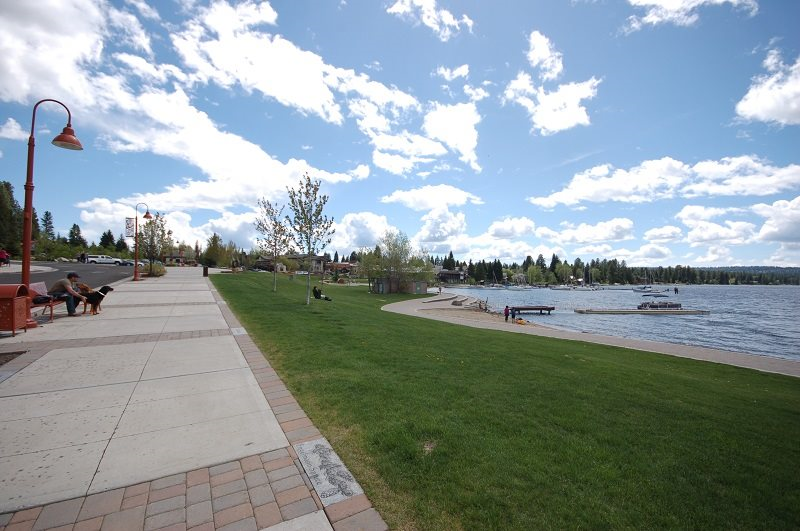 Fairway Park (Gold Glove Park and Sports Complex) is just across the street and also hosts the annual Art’s and Craft’s outdoor fair which is held during the third weekend in August. Winter enthusiasts; don’t forget your skis, boards and sleds for winter adventures. Close enough for easy access to McCall Winter Carnival and events and removed enough to be able to chill out in quiet comfort. Back country access is just minutes away. Need to use a gym? Day passes can be purchased for The Club gym facilities located across the street. A great getaway for couples or a family fun den, this two “private” bedroom and one bath adventure destination will suit all of your needs and includes a futon in the living room. 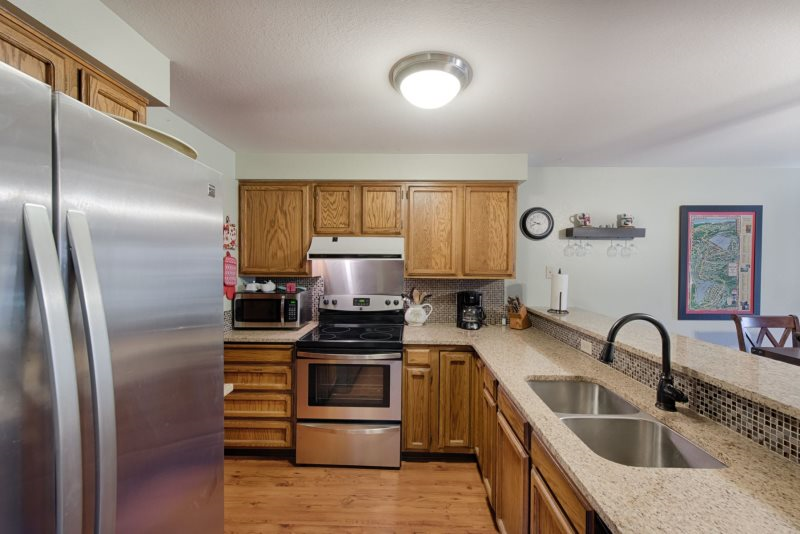 Fully equipped kitchen with up to date appliances and granite countertops, dedicated dining area, comfy living space with large, wood burning stove. Petite, covered patio with outdoor seating fronts a grassy, common area with seasonal pool and tennis court access within steps of your back door.